Home / New York Knicks / Daily Debate: Should the Knicks Trade Iman Shumpert for Jared Dudley? Daily Debate: Should the Knicks Trade Iman Shumpert for Jared Dudley? While New York Knicks fans love the defense-minded Shumpert, it is important to note that Dudley has a career three-point percentage higher than Shumpert’s career field goal percentage. Still, with Amar’e Stoudemire back, and Marcus Camby and Rasheed Wallace on their way back, minutes will be difficult to find for anyone, and adding a new element to the team may not be the best option. With the NBA trade deadline on Febraury 21, 2013, the Knicks, and other NBA teams have 11 days to make a move. 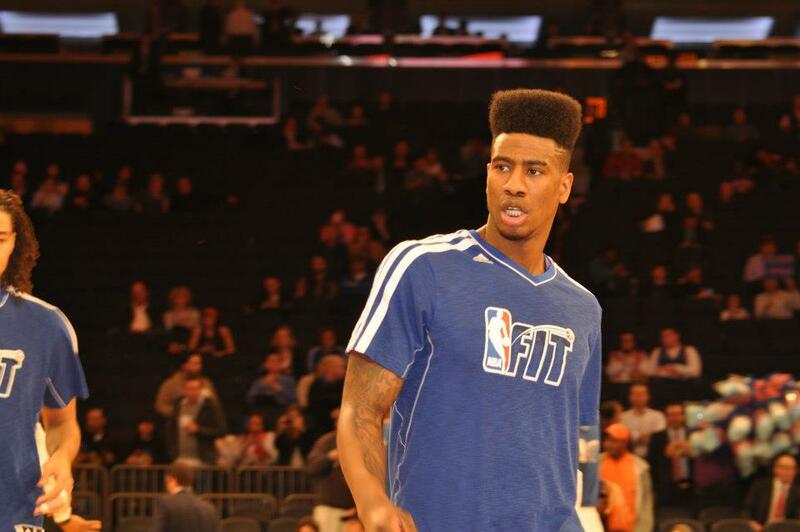 We shall see if the Knicks move Shumpert for Dudley, or if they make any move at all. I feel Shump has alot of upside, is great at going to the basket and finishing with either hand, his jumper and range improved in the 2nd half of last year and is a hard worker (gym rat) according to Coach, 1st rate defender once fully healthy, and unlike many young talented guys takes criticism of this game from his coach as a challenge and doesn’t sulk, Dudley is looking like typical journey man swing guy at this point nothing special about him on his 2nd team and now that team looking to move him for our young possible stud I say nope dumb move.